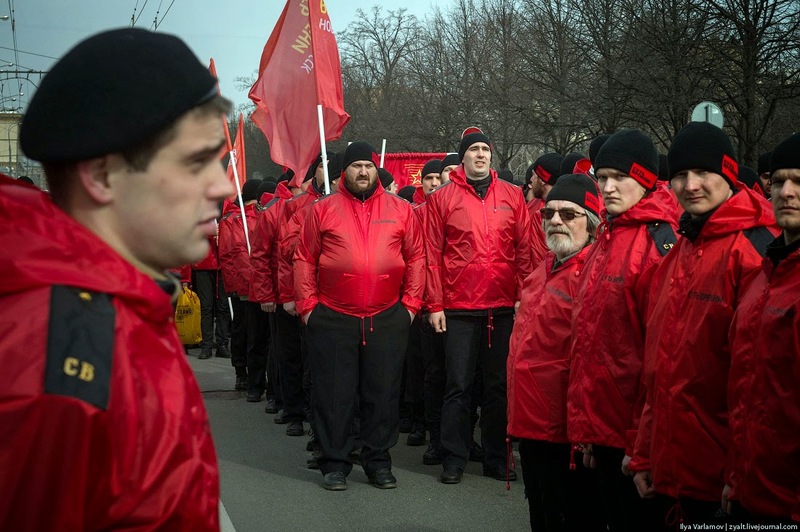 On the 15th of March, Moscow has witnessed – in addition to the anti-war and anti-imperialist march – a march in support of the Russian military occupation of the Autonomous Republic of Crimea. The latter was organised by the Essence of Time movement founded and headed by Russian National-Bolshevik Sergey Kurginyan. 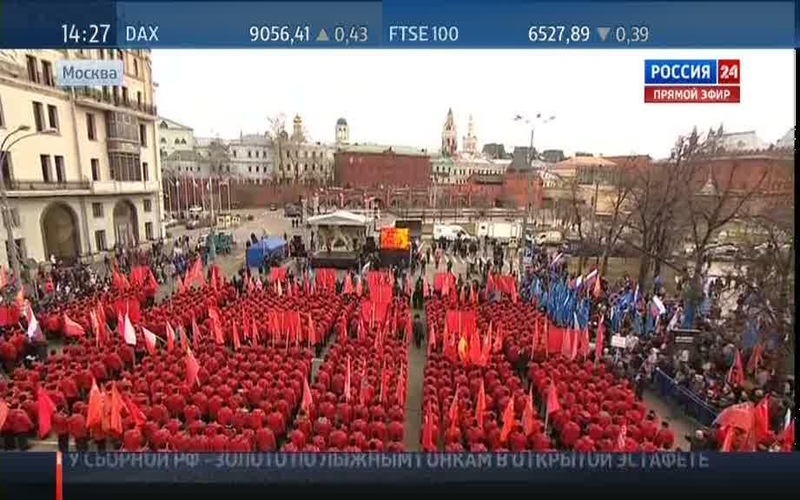 Here are some pictures from the pro-Kremlin march. It’s pure third-positionism, combining fascist ideas to a pseudo-communist appearance. This has been a long-running theme among neo-Nazis, that a movement broad enough, yet Fascist/Nazi could sweep Europe or Russia and leave them in power……Brasillach died in 1945 (in front of a Free French firing squad), so you can see how long this odd dream has gone on. Indeed. National Bolshevism has a long history. This time it might catch on though. What might be fun is to arrange for these guys to meet their Ukrainian counterparts somewhere safely away from everyone else. Mutually assured destruction!